Some shops specialize in outdoor equipment, like camping stoves, boots, and sleeping bags. Others, typically those that cater to the natural foods crowd, sell everything from organic eggs and milk to all-natural cure-alls. 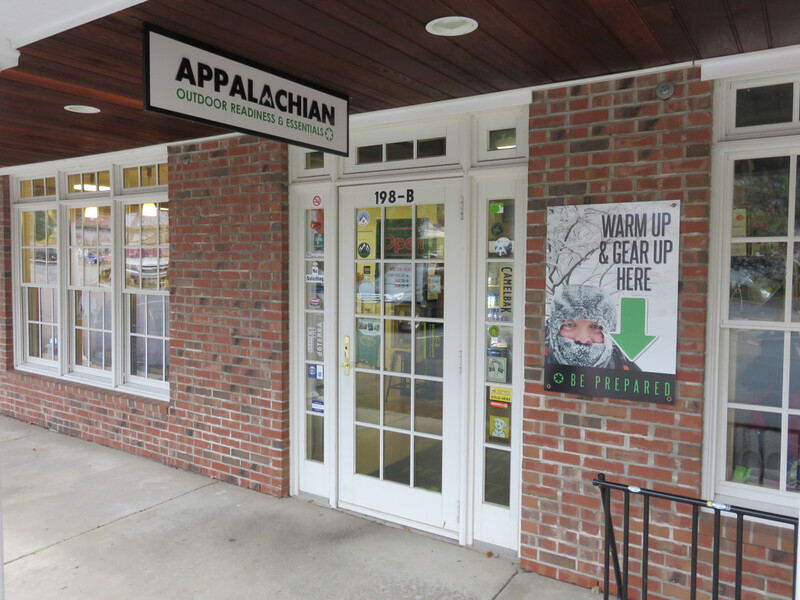 For the outdoor enthusiast with a shopping list, Appalachian Outdoor Readiness & Essentials, located in Purcellville, VA, covers every angle. Owners Chuck and Cindy Izzo have stocked enough products that it's hard not to find what you're looking for. 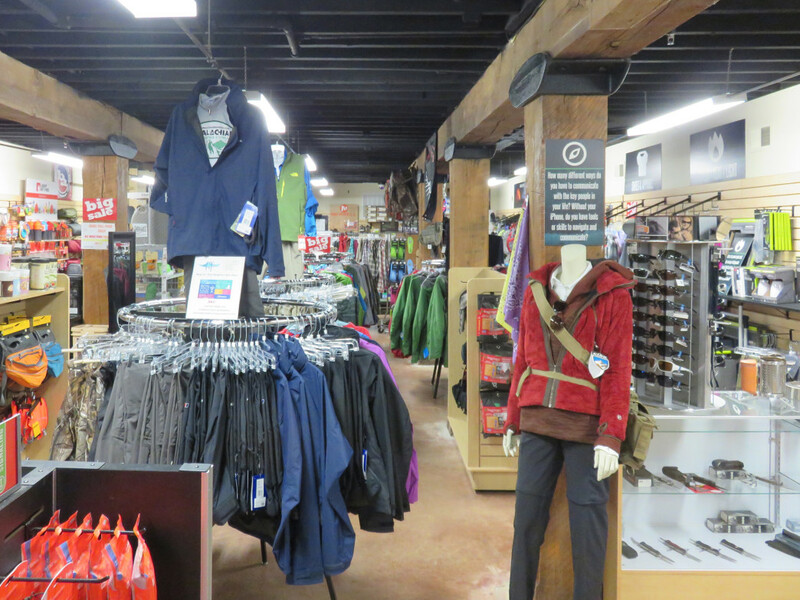 The store opened in November 2013, and the Izzos target several niche markets under the roof of their shop that's located steps off the W&OD Trail and about 8 miles from the Appalachian Trail. 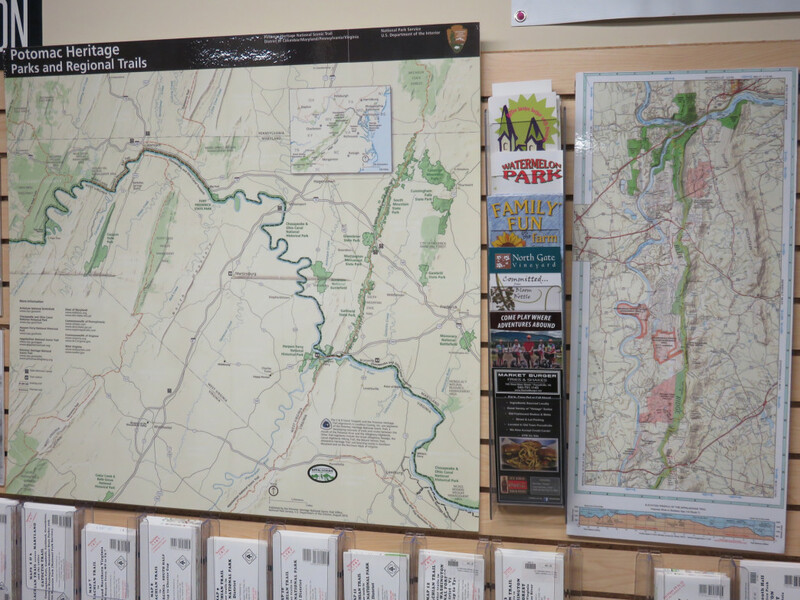 Thru-hikers, day-hikers, folks using the W&OD Trail, Scouts, and those wanting to shore up their personal disaster preparedness plans walk through the shop's front doors on a daily basis. On a recent Saturday, Chuck Izzo had to step away from an interview when a gaggle of rain-soaked cyclists walked in, looking for some dry gear and water. "I've always been interested in the outdoors," says Izzo. The couple both served in the Army and were, at one point, based in the Middle East as translators. They've drawn on their military experience to create a store with a friendly vibe (everyone who walks through the front door is greeted with a "hello") but also one that focuses on being prepared to deal with several situations. The shop sells the usual assortment of outdoor gear, and also has things like water purification systems that can be stored in your car or stashed in your pack, first aid kits, and survival knives. The store's mission seems to be this: helping people stay prepared on the trail and at home for virtually any scenario. Izzo is hesitant to call himself a "prepper"—a term that conjures visions of doomsday bunkers and walls stacked floor-to-ceiling with water and food. But he explained the term in its most basic form. "A lot of camping and hiking equipment can also be dual use for an emergency," he said. "The example I always like to use is in the winter of 2014, you had that big ice storm down in Atlanta. It wasn't big from our perspective, but down there it overwhelmed the system because the infrastructure wasn't set to deal with it." "Imagine we're getting ready to go out on a camping trip down there. All your gear is in your car, you're all kitted up in your car, and you get stuck on [Interstate] 285. Well, you'd probably have something to purify water, or you'd have water, you'd probably have food and some warm clothes. You can't say the same thing if you were packed for a weekend in Vegas or a business trip to Chicago. "I want to promote emergency preparedness. We want to bring it mainstream and make it practical and common sense." In another example, Izzo said it's a good idea for people who work office jobs in cities to stash a pair of sneakers and comfortable socks in their desk. What if the train stops working and they have to walk 25 blocks home? The same goes for Appalachian Trail hikers who stream into the store in early summer, when thru-hikers are roughly halfway through their 2,185-mile journey. Upon reaching the area, Izzo says they often catch a cab down to Purcellville to restock their supplies in his store. And then they might head down the street to one of two pharmacies, along with one of the three grocery stores in town. Or maybe they'll swing by the Post Office to ship some of their unneeded gear home. There's also a handful of breweries and lots of restaurants that make for a nice break after hiking through Virginia, which happens to be the state with the longest section of the A.T.
Appalachian Outdoor Readiness & Essentials even sells products like essential oils, which some say can boost natural healing powers. That, Izzo said, is where the word "Essentials" in the store's name comes from, having the "essentials" you want and need. Izzo's current mission, along with running the shop, is trying to get Purcellville designated as a Trail Town. That would bring more attention to what the locale in western Loudoun County has to offer. And that would lead to more A.T. hikers using the town as a rest stop—an economic booster shot. Izzo, who became "miserable" in his career after he worked a corporate job for 14 years, says his shop's location near the A.T. is key. "I had a friend who suggested, 'hey, you do all this outdoor stuff, and you're into all this survival stuff, and the emergency preparedness stuff, why don't you start your own business?'" Izzo says. "I thought about it, and I said, 'You know what? We're situated at about the halfway point on the Appalachian Trail. There's no outfitters that support the A.T. for at least an hour for two or three days in either direction.' So we took a stab at it, I put together a business plan, and we said, 'let's go.'" Two years later, the shop has become the area's go-to place for outdoor and disaster preparedness gear. Just like Izzo planned.